Visiting CeBIT in Hanover and annual reports on the exhibition have become a tradition for Gurtam. But this year, we suggest you take a fresh look at the event. 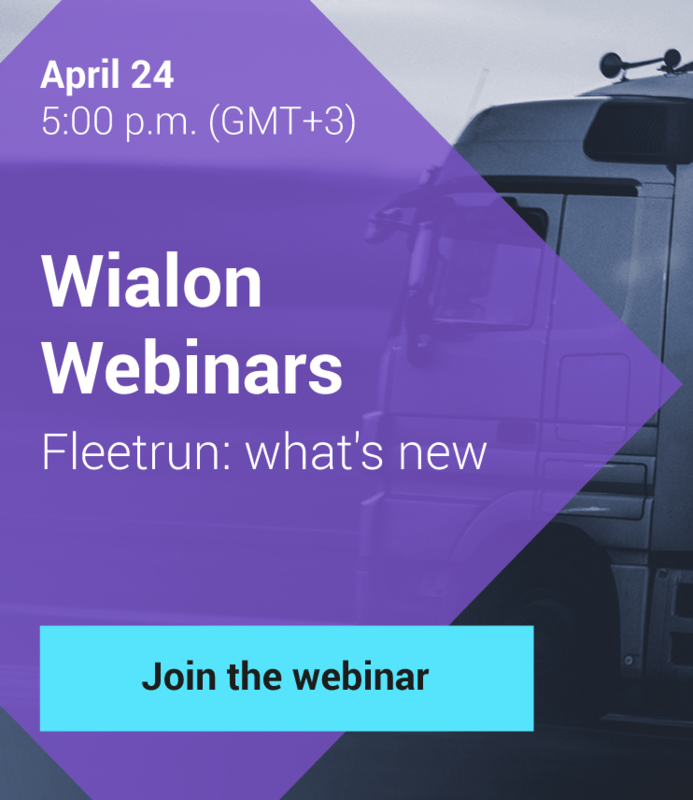 Mariya Starikova, a Business Analyst in Wialon Apps Development Group, is here to tell you about it. CeBIT 2018 is over, and with it the major feast of technology in Germany. Gurtam participated in the event for 8 years, while I was there for the first time. So let me share the experiences of the trip while those are still fresh. This year, the good old CeBIT became the all-new “business festival” selling the idea that “B2B can be fun too”. And it really was. On the first pre-exhibition day, we attended d!talk conference ended with CeBIT opening ceremony. I was mostly impressed by the speech of German Minister of Economy reasoning that robots will soon live among people. To be honest, half the time I thought about how to connect the robots to Wialon using CAN-bus. On the other days, Deutsche Messe Exhibition Center hosted lectures and seminars delivered by the pioneers of digital industry. Like many others, I wished to attend a presentation by Jaron Lanier – a scientist in the area of biometric technology and the father of “virtual reality”. But considering the number of people at our booth, I decided to stay with the fathers of “Gurtam community”. Still, we should have expected that the booth would be crowded – this year, CeBIT claims to attract 120 000 participants from 93 countries. CeBIT 2018 became special for Gurtam: I was a part of the largest exhibition team ever visited Germany. Developers, business-analysts, techsupport specialists, marketeers, and business development managers joined us in Hannover. The field office, as we used to say jokingly. Thanks to this, no issue was left unresolved. 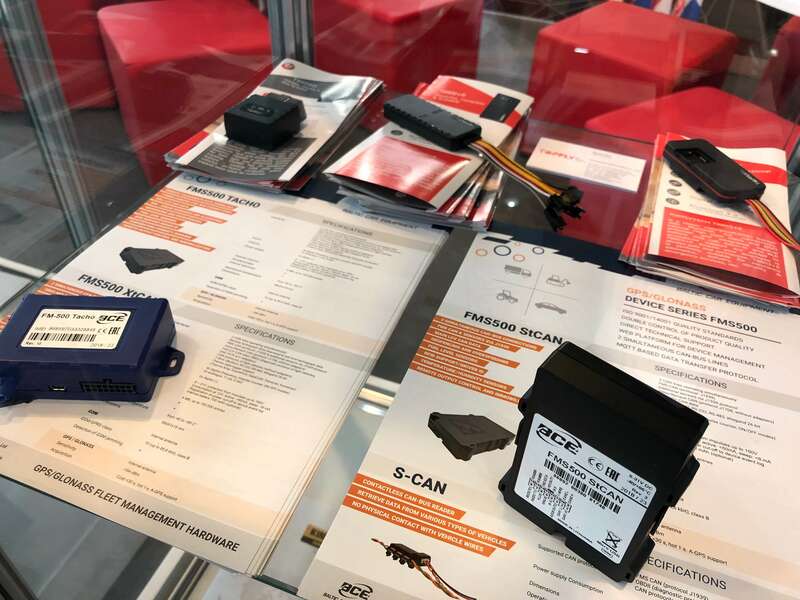 One thing remains unchanged for years: Hall #13 becomes the epicenter of the telematics force - from the major hardware manufacturers to the leading software developers. CeBIT started on June 12 and we’re all ready at 9 AM, 5 minutes before the official opening. And partners were arriving as early as that – to discuss burning issues, share the latest news, and inspire ideas. Eye-catching large screens featuring the system and hardware rack did their part, and we found ourselves catching up with dozens of people at once. 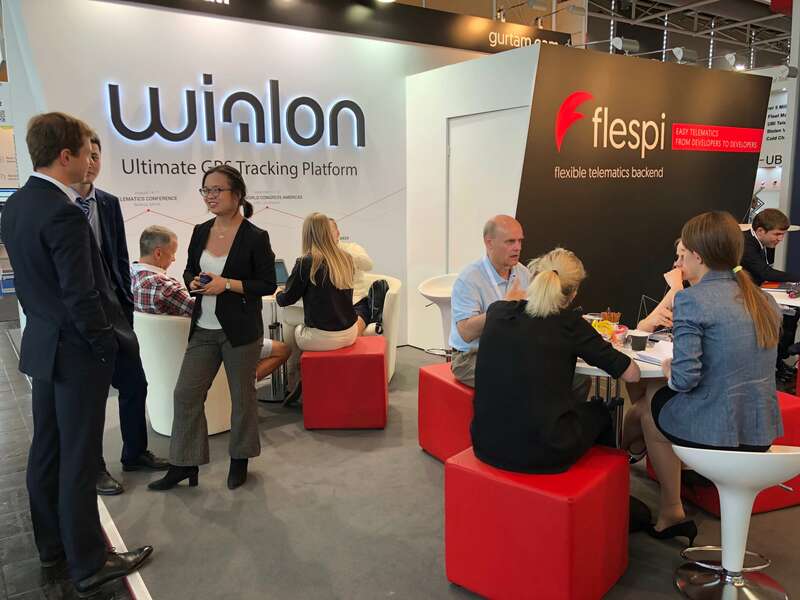 As for hardware, Gurtam booth exhibited a number of trackers supported by Wialon, while the manufacturers’ booths were all around us - Queclink, BCE, Smart Witness, Meitrack, Ruptela, Mielta were joining us promptly to address hardware issues. Concox representatives even held an improvised workshop on the configuration of GPS-enabled bike lock. Here at CeBIT, we have another tradition: in the recent years the expo becomes a display for the newest developments by Gurtam. 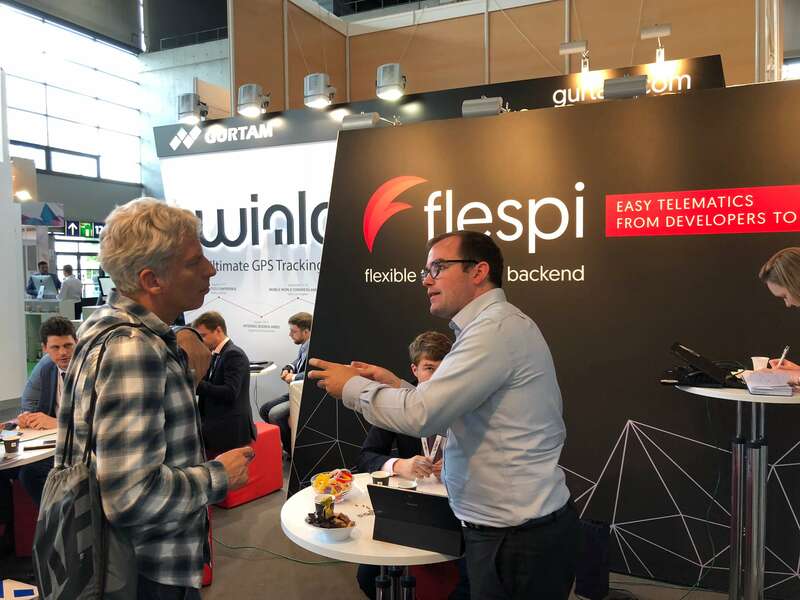 Last year, it was flespi PaaS platform, and this year, we feature NimBus for passenger transportation tracking and the new video surveillance opportunities. 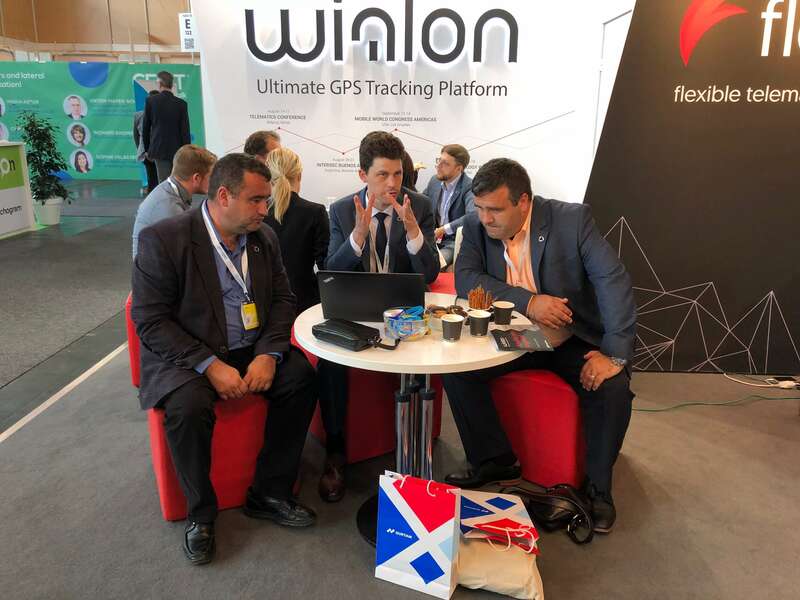 Another interest of mine were Wialon-based developments. I was inspired by the example of Georges Evesque conquering the francophone Africa with specialized solutions. Georges showcased a web app similar to our Dashboard. It helps to control fuel (overall fuel consumption per 100 km/1 hour and while idling, thefts and fillings) by the whole fleets or separate vehicles. The solution is handy, simple, and business-specific. But these are not the only reasons for a success. The application is designed for specific markets and by an expert living and breathing in telematics. Such cases show that SDK product is more than just a solution. It’s a growth factor for Gurtam partners and their clients and a source of industry specific use-cases and newly-minted experts. By the way, Georges will present his fuel control dashboard at Telematics 2018 conference in Minsk. We’re waiting for you there on August 14-17. Watch our social networks for the latest news and video streaming. I should also admit the community spirit that I experienced there. Before CeBIT, I only heard about it from my colleagues. 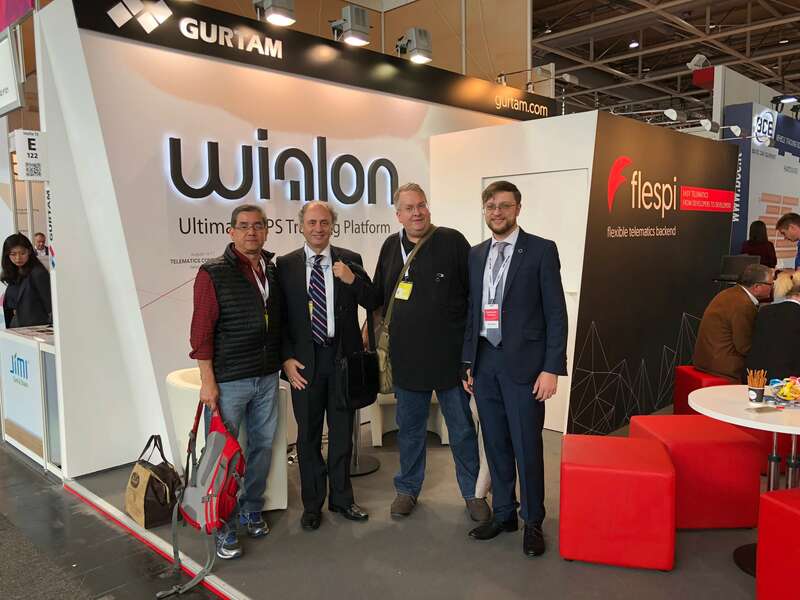 The partners visited our booth not talk to me or business development managers, but to meet integrators from other countries and old friends from among Wialon users. The booth was busy throughout the four days and no one was left unheeded. For me, CeBIT will always remain the place to meet our partners from around the globe – those great professionals hiding behind the e-mails. Now, their names and companies are more than just words and look forward to the nearest event to meet them again. Hope to see you all at Telematics 2018 in Minsk!